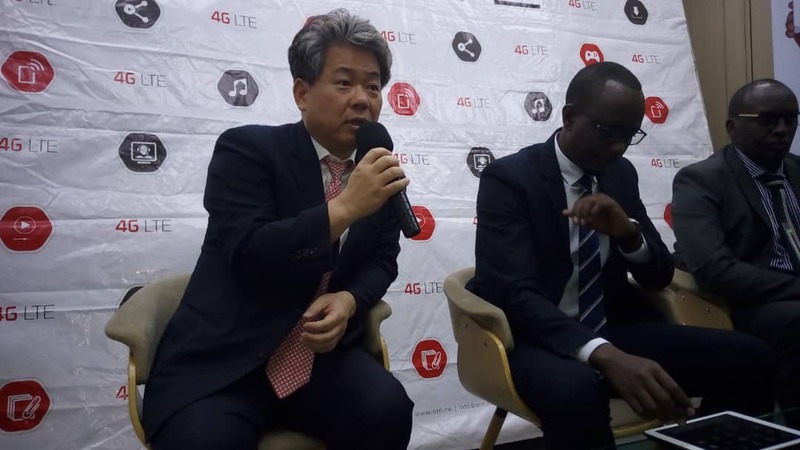 Korea telecommunication Rwanda Network (KTRN) has further cut its 4th Generation (4G) internet prices to as low as Rwf1000, to allow more Rwandans afford and access this type of internet. 4G internet users will now be able to buy 1 gigabyte for as low as Rwf1000 per day and Rwf3000 per month from the 22 existing Internet Service Providers (ISP) who retail 4G internet. The reduction comes after KTRN managed to hit a 96.4 percent 4G coverage countrywide in the last four years. Formerly 1 gigabite was selling at Rwf3000 and KTRN says the decision to cut prices is based on the country’s ambition to provide internet access to all. “President Paul Kagame requested us to make sure our services reach everyone not only urban areas and today we have fulfilled the commitment. We are everywhere in Rwanda,” said Han-Sung Yoon (Patrick) the CEO of KTRN. Sung Yoon also called on Internet Service Providers to work at reducing their retail prices so as to encourage more 4G users in the country. According to Sung Yoon, retailers are still charging more than double the retail price of 4G internet. For example ISPs buy 4G internet at a wholesale price of Rwf21.000 and sell at Rwf24, 000 and others double the price. Paul Barera, the Executive Director of Rwanda Telecentre Network, which provides internet to local government to facilitate citizens access to online services mainly Government to Citizens (G2C) says that availability of gadgets is one sure way to increase access to 4G internet. “There is need to have affordable internet devices, ranging from modem routers, smartphone to increase consumption countrywide. Otherwise internet is available and we intend to roll it to all cells,” Barera said. While 4G internet is almost covering the whole country, Rwanda Utilities Regulatory Authority statistics indicate that 47.8% of 12million citizens use internet which is above the 35% government target by 2020. Basing on this KTRN officials told KT Press, that Rwanda is planning on shifting to 5G internet which could be introduced by the end of 2019.